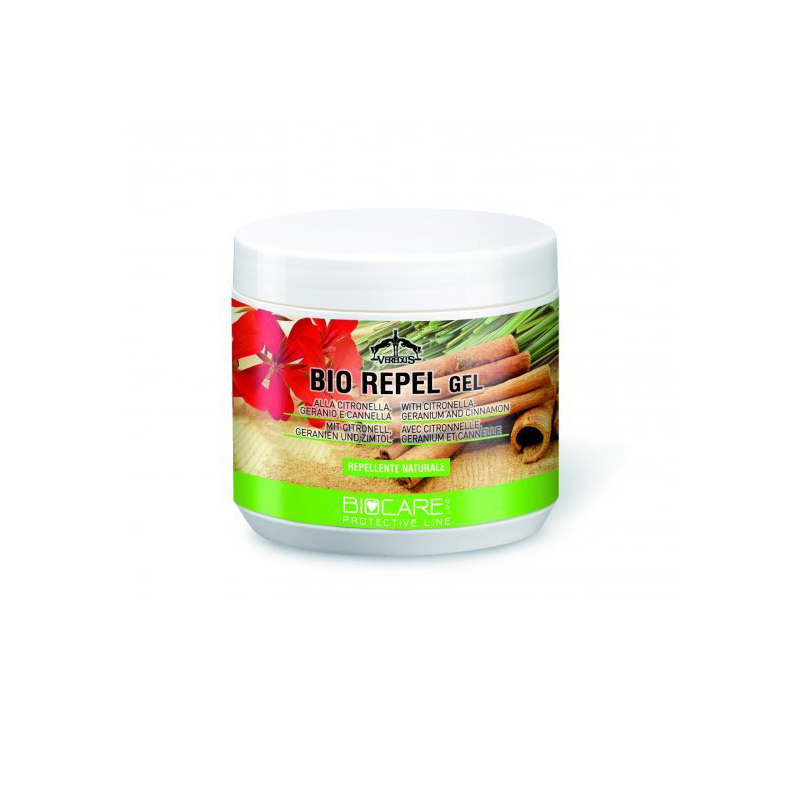 Fly repellent gel, non-toxic and hypo-allergenic, made of citronella, geranium and cinnamon. Specially formulated for use on delicate and sensitive areas such as eyes and muzzle. Safe for use on skin abrasions.